For some, the title of life coach might seem questionable. Some people might ask: Is it even a real job? Are life coaches actually helpful to their clients? If you are passionate about making the answers to these questions, yes, it is worth your time to look into accredited life coach certification programs. These programs will teach you what you need to know and allow you to demonstrate your value as a life coach. The International Coach Federation (ICF) is the ultimate authority on life coach accreditation and certification. The ICF’s site outlines the basic skills and traits required to be a life coach. Many people probably have these traits without learning about them; at the end of the day, life experience is always the best teacher. 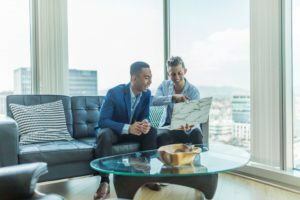 However, even the wisest people might benefit from going over these skills, because coaching another person is different from navigating the world yourself. First, a life coach must know their boundaries – they are not a psychotherapist nor a specialized mentor or consultant. It is not their place to administer treatment for psychological issues, but they should recommend such treatment if it becomes apparent to them that a psychological problem is impeding a client. Similarly, it is not their place to give specialized career advice or help on a job project as a mentor or consultant would. The life coach is a holistic guide who helps the client achieve a certain goal or navigate a stage in life. Second, a life coach must know how to establish a positive and appropriate relationship with the client. The coach should not force unwanted goals or unwanted intimacy. The relationship is a purely supportive one, where the coach constructively listens to the client and helps him/her consider a feasible way to achieve life goals. Sometimes, the coach does help the client decide on goals, as some clients might be vague or confused about what they actually want to do. Third, the coach needs to be a flexible but robust communicator. He/she must be authoritative enough to clearly state milestones and deadlines – and point it out when the client fails to deliver. However, at the same time, the coach also needs to be positive and sensitive to the client’s thoughts and feelings. The coach needs to help the client assess why failure happened, rather than blame the client. 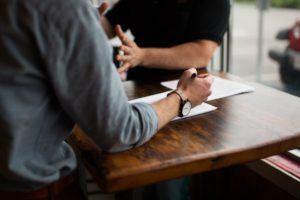 Last, the coach needs to have the logic skills to talk a client through irrational or unfounded assumptions and to ask the client constructive, thought-provoking questions. This has to be done in a way that does not belittle the client, but rather guides him/her naturally to revelations. If you seek accredited life coach certification programs – or any certification programs, for that matter – you must go to ExpertRating. ExpertRating has certification exams and courses in almost everything. In fact, you might find that you can be certified in a skill that you already have but did not know was certifiable. In some areas, no certification is available, so the site offers courses that give specialized practical skills for a very reasonable price. All certification exams and exams-plus-courses certification programs are also at a reasonable price. Also helpful is that you can retake a certification exam for only a fraction of the program’s original cost. This is not an elite or academic online education site; it is hub for skill certification programs. ExpertRating is ISO 9001-2015-certified, which means that it is up to current international quality standards: Its exams have high validity and reliability, meaning that the test results are consistently an accurate portrayal of the test-takers real-life ability. Top companies (Dell, Ericsson, Google Developers, and HarperCollins Publishers – to name a few) purchase certification/skills tests in bulk from ExpertRating. ExpertRating is designed such that even a large company can sign up and start offering tests within a few minutes. Many companies choose to make ExpertRating tests a part of their company websites or employee portals. Skills tests from ExpertRating can even be customized to suit an individual company or department’s needs. Such exams can be used to test current employees to assess whether upskilling is needed or to test prospective employees to see whether they should be hired and/or, perhaps, whether extra training might be needed. The exam results for each test-taker are clearly presented and organized, so an employer can quickly and easily get an accurate sense of performance in relevant areas. ExpertRating is not new. It has existed since the year 2001, and it has grown to be in the top hundredth of a percent of popular websites in the world. It has provided testing for over 6500 companies and a total of over 25,000,000 people in 60 different countries. With its 86% reorder rate, it seems that a huge number of people and companies are pleased with what they get. ExpertRating also caters to the needs of individuals. If you look at the list of over 800 tests, you will find that there are certifications you never would have thought of. With a little work – including taking an ExpertRating certification course – you could be a certified health coach, event manager, stress management expert, public speaker, health club manager, administrative assistant, baby sitter, and/or so much more. Even in areas where the site does not offer the actual exam, there are preparatory courses that can help you get certified. For example, ExpertRating offers PMP® (Project Management Professional) and LSAT exam prep courses, among others. There are countless courses in writing (both creative and technical), languages, law, personal development, communication, business, computer programming, webpage design, and more. Even if you do not think you are interested in a given area, it is worth looking at the entire list of ExpertRating courses, because some of them are quite specific—for some examples, there is a law course intended for small business owners, a writing course for marketing and business, and a caregiver course for those caring for aging parents. Among so many other certifications and courses on ExpertRating, there is one of the best accredited life coach certification programs. For a small fee, you get a course that tells you everything you need to know to take the life coach certification exam – plus articles, other resources, and case studies to give you practical experience – and the exam itself. The course also helps you understand exactly what services you will be expected to offer as a life coach, where and from whom you might find work, and what sort of niches you might fit into. Upon completing the course and passing the exam, you will receive an online certificate that you can post on a social media site, such as LinkedIn. You also will be qualified to receive a hard-copy certificate that celebrates your exam score, but does not have the word online anywhere on it (in case some clients question the legitimacy of an online program). You will also receive a logo and the right to post “Certified Life Coach” with your name on business cards and correspondence. Multiple research studies suggest that, ironically, soft skills are likely to be in especially high demand in a technology- and technicality-driven economy. Life coaching is a soft skill that is especially gaining momentum. Stunningly, according to the ExpertRating Life Coach Course page, life coaching is among the top fastest-growing industries. If you have a certain area of special interest, passion, or expertise: Realize that life coaching has subfields, such as spiritual, business, relationship, executive, or wellness coaching. Indeed, in a changing world, there may be even more possible coach types in the future. If you are thriving with life coaching already, you might also consider such related courses as Master Life Coach Certification, Time Management Certification, or Virtual Assistant Certification. (If you do not know already: Virtual assisting is acting as an assistant from a remote location; modern technology has made this sort of position possible.) Time management may seem more like a personal skill than something for which you need certification; however, as in other areas, certification demonstrates your skills incontestably for prospective employers. One or more certifications from a credible source demonstrate that you have lived up to certain standards; this does give you an edge in competition with otherwise qualified people who happen to lack certification. For many, gaining certification is the perfect motivation to perform the thinking, reflecting, and studying that they need to become better qualified. It is important to remember that being better qualified is the ultimate goal and the thing that will give you lasting success. Life coaching is one of the most people-oriented jobs you can go into, and, relatively speaking, one of the most intimate – you work one-on-one with another person, potentially getting to know that person in a way that no one else does. Your success as a life coach, therefore, ultimately depends on your ability to keep learning from your own experiences and to grow in your compassion for others.